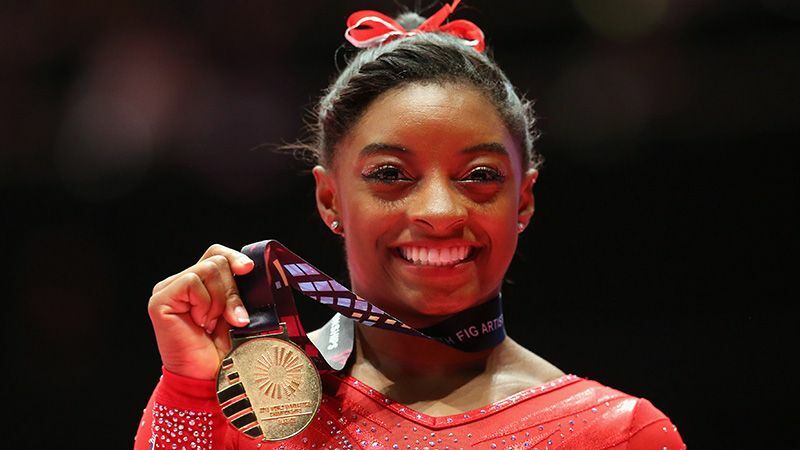 Simone Arianne Biles was born March 14, 1997. The other night she became the 2016 Olympic individual all-around champion. But this little dynamo is no stranger to winning. She is a three-time world all-around champion, three-time world floor champion, two-time world balance beam champion, four-time US national all-around champion, and a member of the gold medal-winning American teams at the 2014, the 2015 World Artistic Gymnastics Championships and the 2016 Summer Olympics in Rio de Janeiro. 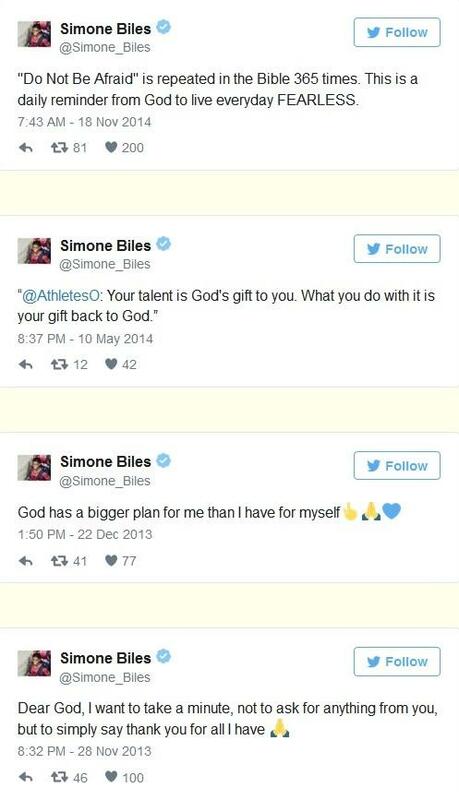 More importantly from our perspective, Simone Biles is a Roman Catholic home-schooler who might have been a victim of abortion had her birth mother been someone other than Shannon Biles who suffered from drug and alcohol addiction but, rather than aborting her baby, gave Simone up for adoption. The story is like something out of a feel-good movie, with little Simone—rather than ending up in a dumpster or sucked into a vacuum or having her head stabbed by an abortion doctor—getting a chance to live, and then going on to become the first woman in history to win three consecutive world all-around titles and, by the way, the most decorated American female gymnast in World Championships history, with a total of fourteen medals, ten of them gold. In 2003 Simone’s grandparents took the child and her sister, Adria, out of foster care, in order to give them a loving home and a chance to thrive despite all they’d been through. Simone’s grandfather is a retired air traffic controller while her grandmother is the former co-owner of a chain of nursing homes, and a woman obviously blessed with great compassion. Simone Biles spent all her secondary education as a homeschooler and graduated in the summer of 2015. The family is Roman Catholic, and the little gymnast, who is now taking the world by storm, lights a votive candle to St. Sebastian (patron saint of athletes) before all of her meets. She also keeps her rosary with her at all times, and isn’t afraid to proudly admit it. I’m not much of an Olympics guy. I got tired of all the politically correct claptrap that goes along with the games. I’ve discouraged my own children from paying any attention to them, in fact. But I do find it singularly annoying when the “up close and personal” stories that dominate the Olympic headlines are about Muslim athletes or transgenders or whatever, and then a story like this is ignored completely—the most decorated woman gymnast in Rio is an adopted, home-educated, Roman Catholic who prays the rosary and relies on God and His blessed Mother to help make her the best person and athlete she can be. Kind of a big deal, unless you’re one of the cold chroniclers of Christophobia in the mainstream media—in which case it's cover-up time. Whatever. The media will do what they do best. But the story of Simone Biles is a little shaft of light in a big world of darkness. It's so encouraging to see that, despite everything, little miracles like this are still happening every day and all over the world. A drug-addicted alcoholic living in Cleveland had enough goodness left in her soul to do the right thing, even when the whole world was telling her to do the wrong thing. She kept the child, put her up for adoption, and great things happened. God is good and all is not lost. All glory and honor to Him, and may He bless and keep Shannon Biles for giving a dreary world something good to believe in for a change -- a brilliant little gymnast who's proudly in love with Jesus Christ. To catch Michael's latest, SUBSCRIBE to The Remnant today!